White linen was the traditional clothing in the South during hot summer months back when most people did not have air conditioning. We want to capture the down-home, small-town feel of a traditional Southern Block Party right here on Main Street! 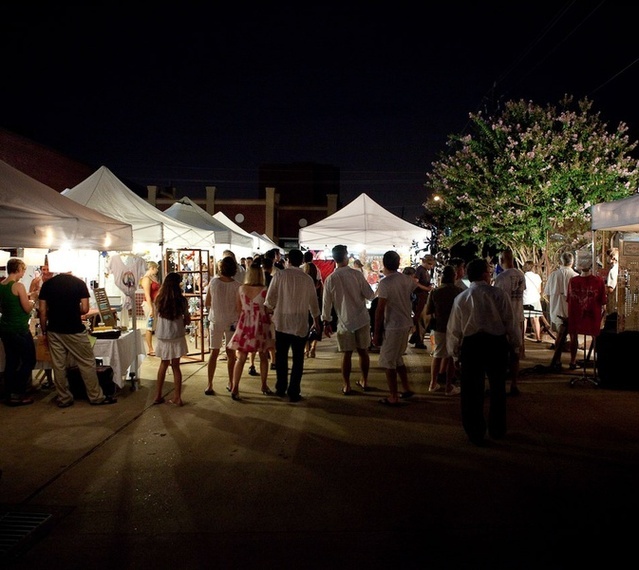 White Linen Night in Broken Arrow’s Rose District is patterned after a similar event in the French Quarter district in New Orleans where residents come out dressed in their finest white linen to see local art. 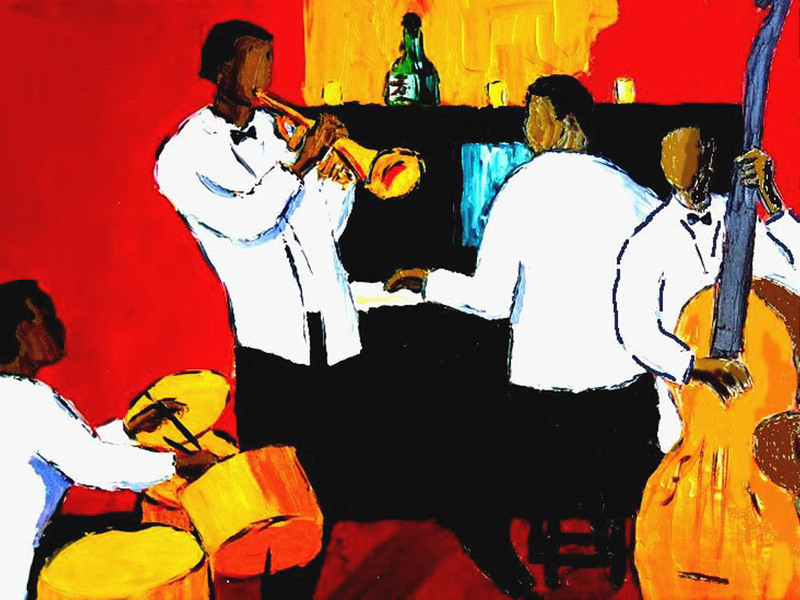 The event is open to the general public with no admission fee, live jazz performances provided by TulsaJazz.Com and the Tulsa Jazz Music Group! So, put on your white linen (or white cotton) and join us for some good family fun! 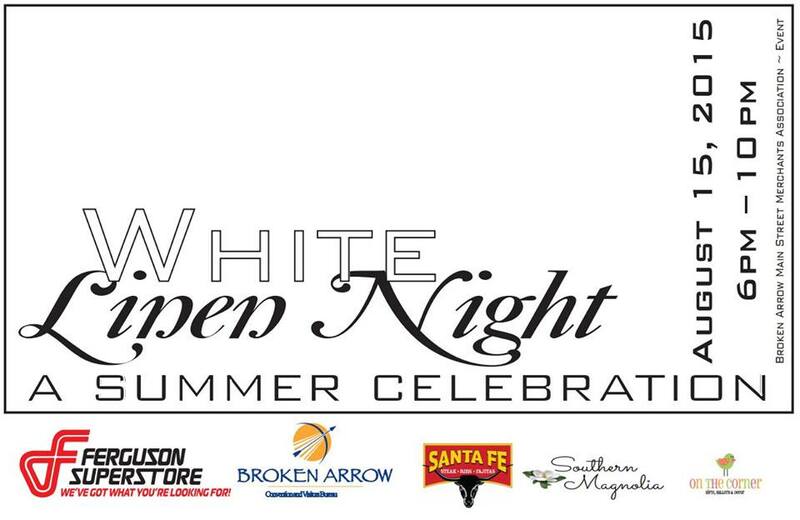 Broken Arrow’s Main Street Merchants Association is committed to further enhancing our popular White Linen Night, so that all ages can enjoy a fun and festive night in Downtown Broken Arrow, to truly make it a neighborhood-wide celebration. Visitors will be treated to a fun atmosphere including local artists, local musicians, and local businesses in the Rose District. 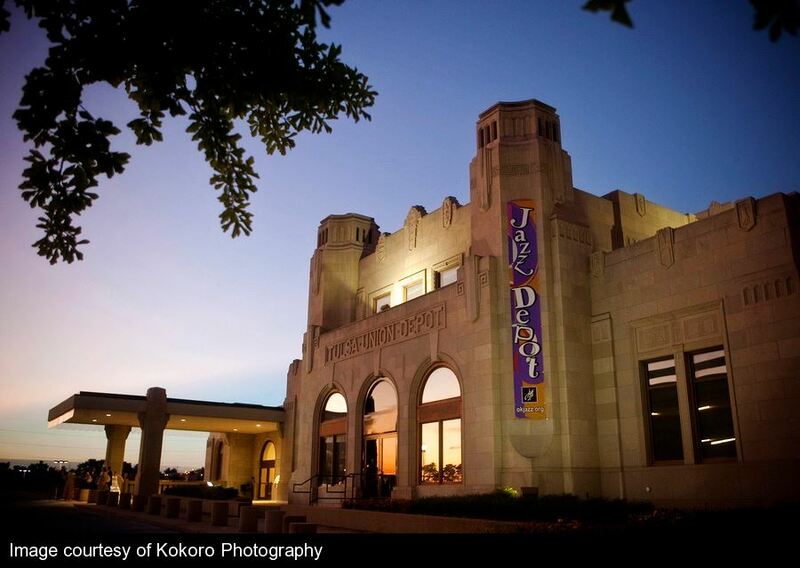 If you are a jazz fan in Tulsa, Oklahoma Sunday June 28th must have felt like Christmas. To start your day you had the choice of going to the Polo Grill at 10 30 am, for and early brunch while listening to Mark Bruner or if you wanted to sleep a little later head over to Hey Mambo, closer to noon, for a Gypsy Jazz brunch with Jordan Hehl and the crew. After filling your tummy with all sorts of deliciousness, you then had the choice of swinging over to the Guthrie Green to hear Shelby Eicher and others perform or heading down to the Tulsa Spotlight Theatre and lend your support to their “Jazz on the River” fundraiser, a quality event for a quality group of people. 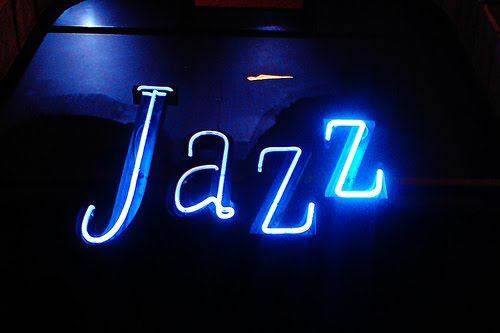 Bodean Seafood Lounge rounded out the day by serving up some delicious jazz from 7 00 to 10 00 pm with the Jack Wolfe Quartet which included Dean Demerritt and Wade Robertson who earlier in the day performed at the Tulsa Spotlight Theater. This Sunday June 28th, 2015 at 2:00p.m. 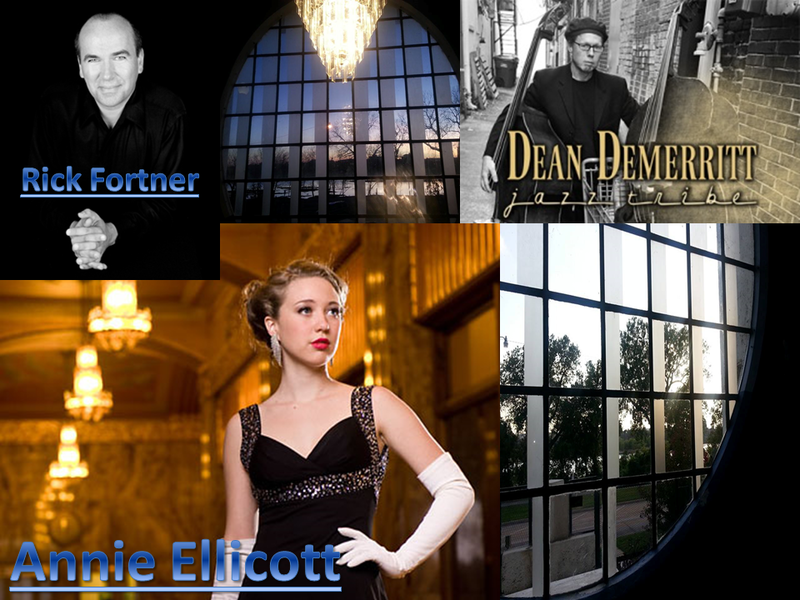 come and enjoy performances by Tulsa Jazz legends Rick Fortner, Annie Ellicott, and the Dean Demerritt Jazz Tribe as they lend their talents to help with this important fundraiser for the Tulsa Spotlight Theatre! Sit back, relax, and experience the atmosphere of this iconic theatre located at 1381 Riverside Drive, bask in it’s rich history while being “wowed” by these fabulous entertainers! 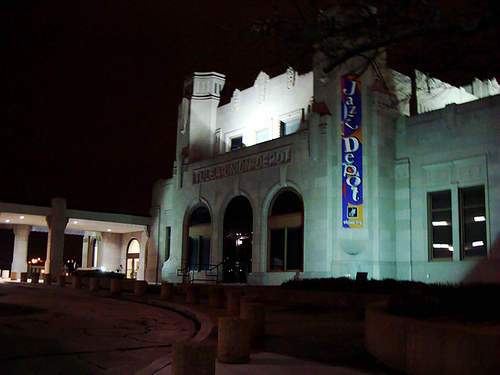 The Tulsa Spotlight Theatre is located between two coming attractions “The Gathering Place” and the “Route 66 Interpretive Center,” across from the Cyrus Avery Plaza on Route 66. Tickets are $20.00 and can be reserved by calling (918)587-5030. Don’t wait, our house only seats 88 so get your tickets quickly! 13th Annual Taste of Collinsville – “A Little Bit of Food and ALL THAT JAZZ”! Collinsville, Oklahoma: This year’s Taste of Collinsville fundraising event has taken yet another new twist this year. 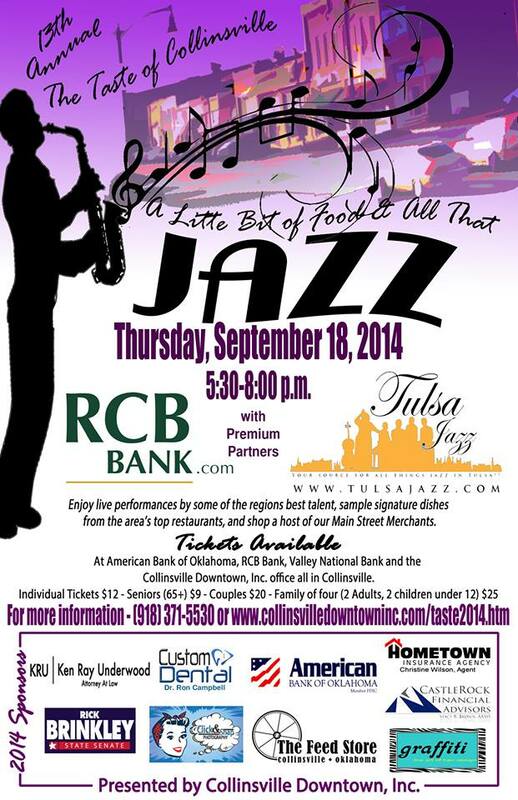 This year’s event titled the 13th Annual Taste of Collinsville – “A Little Bit of Food and ALL THAT JAZZ” will take place on Thursday, September 18, 2014, from 5:30 – 8:00 in the evening. 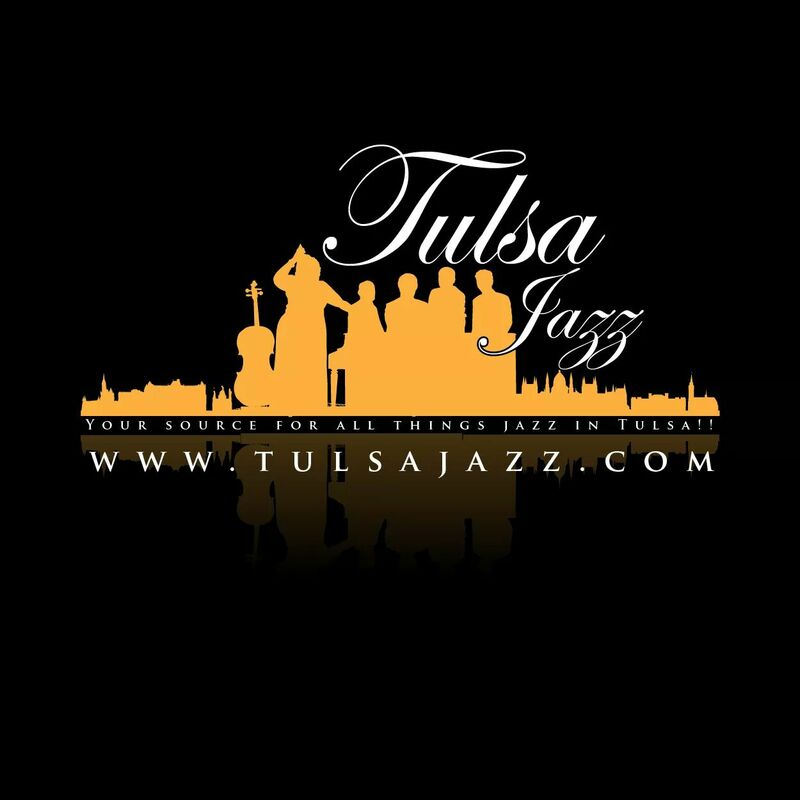 Collinsville Downtown, Inc. is pleased to announce the partnership with Tulsa Jazz, OKC Jazz and the Tulsa Jazz Group, the largest promoters of Jazz in the area in order to bring the greatest jazz musicians in the region to play on Main Street. The musicians will be stationed along the three-block corridor from 12th to 9th Street, entertaining patrons to who will also be sampling signature dishes from some of the area’s finest eateries. Main Street Merchants will play host to notable restaurants such as Olive Garden, Logan’s Roadhouse and Wings To Go, to name just a few. Collinsville restaurants will also be showcased at the event. The event is an exciting way to introduce the public to all of the great Collinsville businesses who may have otherwise gone unnoticed. Local favorite Silver Dollar Café will be filling a souvenir cup with your favorite non-alcoholic beverage for the evening. 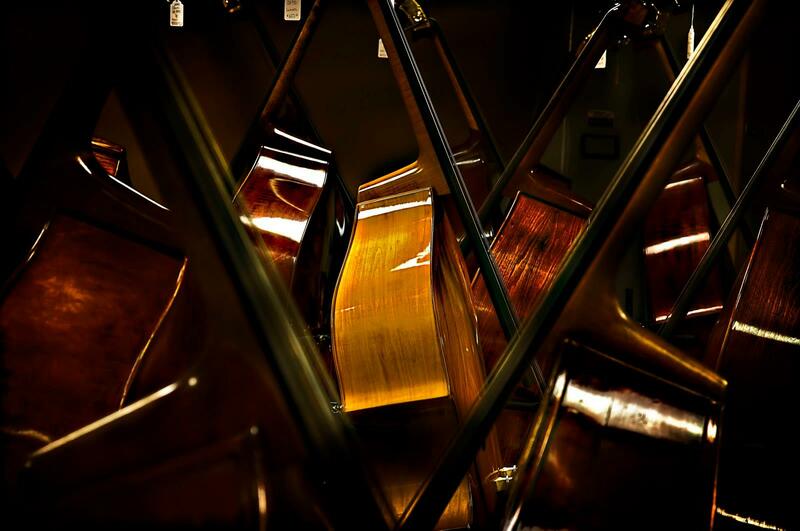 Along with great music and delicious food, ticket holders will also be able to engage in a musical scavenger hunt. 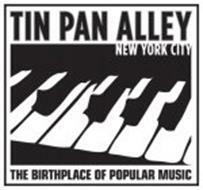 There will be several jazz instruments placed among the Main Street Merchants for patrons to find and record in order to be entered into a Grand Prize Drawing at the end of the night. The Grand Prize is valued at over $800 consisting of gifts donated by all participating merchants and area restaurants. Those wishing to attend this year’s event would be wise to order tickets online, as there are only a limited number of tickets available. Tickets can be purchased online from now until the morning of the event on September 18 at http://www.collinsvillegowntowninc.com/taste2014.htm. Tickets ordered online can be picked up at the event at the will call table or in the C.D.I. office after September 4. Beginning September 5, Collinsville banks including Premier sponsor RCB Bank; along with V.I.P. sponsor American Bank of Oklahoma and Valley National Bank will be selling tickets in their businesses. Tickets may also be purchase at the C.D.I. 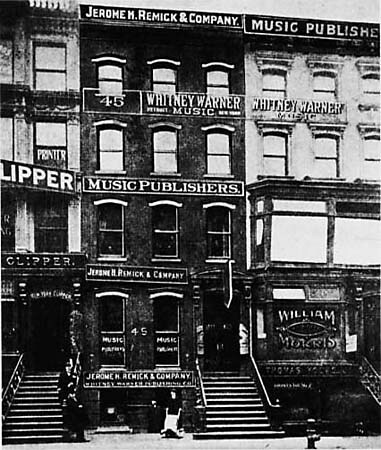 office located on the northeast corner of 12th and Main. Cost of this year’s tickets are as follows, individuals $12 each, seniors (65+) $9, couples $20, and a family of four (2 adults & 2 children 12 and under) for $25. Members of the Main Street organization will receive a discount when purchasing tickets at the Main Street Office. Sponsorship opportunities are also still available for those wanting to be a part of history in the making. Sponsors will receive FREE tickets to the event and recognition both leading up to and at the event. For more information about becoming a sponsor of this year’s event contact Program Manager, Shelley Nachtigall at (918) 371-5530. Collinsville Downtown, Inc. is the downtown revitalization organization. Their mission is to be instrumental in directing the restoration of historical Collinsville to it’s original nostalgic appearance, business fervor, public attraction, and profitability to fit the needs of our contemporary community. It is partly because of fundraising efforts such as the Taste of Collinsville that they are able to continue to do just that. For more information about this years event, including ways to win FREE tickets, or how you can get involved in the Main Street organization, please follow them on Facebook, as well as check the website at www.collinsvilledowtnowninc.com for details.